One of the best installations for HVAC maintenance is a humidifier. With it, you can control how much moisture goes in the air. There are four different types of humidifiers to choose from: steam, impeller, ultrasonic, and evaporative. At Bounds Heating & Air, we’ve provided homeowners the pros and cons of each one. Steam humidifiers are known as “vaporizers”, and boil water to circulate steam in the air. Pros: Vaporizers are the most common and affordable. They are also highly recommended to help against coughing fits. Cons: With a low price tag, the vaporizer surprisingly clocks in as the most energy inefficient. If left unchecked, they could also cause a burn on unsuspecting users. Impeller humidifiers use a diffuser to cool the air, transforming water into droplets that circulate throughout your home. They are also called “cool mist” humidifiers, due to the fog that they leave behind. Pros: They require less cleaning, so you can save on HVAC repair and maintenance. They are also very quiet, so you won’t be bothered by any unexpected noise. Cons: The units need to have its water changed regularly. Otherwise, the water will stagnate and release bacteria with the fog. Ultrasonic humidifiers are similar to the impeller, differing only in that they rely on vibrations to create the water droplets. Pros: Unlike the impellers, ultrasonics have antibacterial filters. This helps solve the water maintenance issue. Some units can switch between warm and cool, to fit the different seasons. Cons: Some units release white dust, which contains bacteria and can be harmful to air quality. Check carefully for more advanced units, which clean this off. Evaporative humidifiers differ by using the existing air of your home, then filtering it through a moist cloth or a wick. Pros: It can reduce the need for HVAC and air conditioning repair because it is low-maintenance. You only need to switch out the cloth on occasion. Cons: Evaporative humidifiers can be very noisy, so it should be installed in areas where it can reach all rooms without waking up anybody. 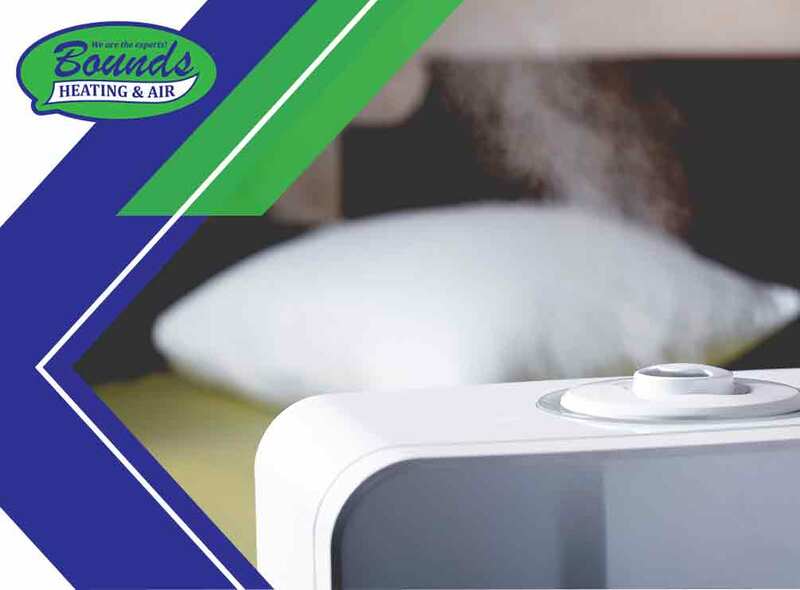 Bounds Heating & Air provides different air conditioning, heating, and humidifier units for your home. Call us at (352) 472-2761 or fill out our contact form to request a free quote. We serve many areas in Florida, including Gainesville, FL.